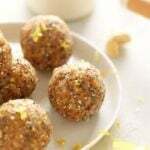 These Lemon Cake Energy Balls are a healthy snack idea that tastes like a little bit of heaven! Store these energy balls in the freezer for an easy grab-and-go snack that is packed with protein, fiber, and tons of flavor. They will give you the energy you need to get through any work or school day! 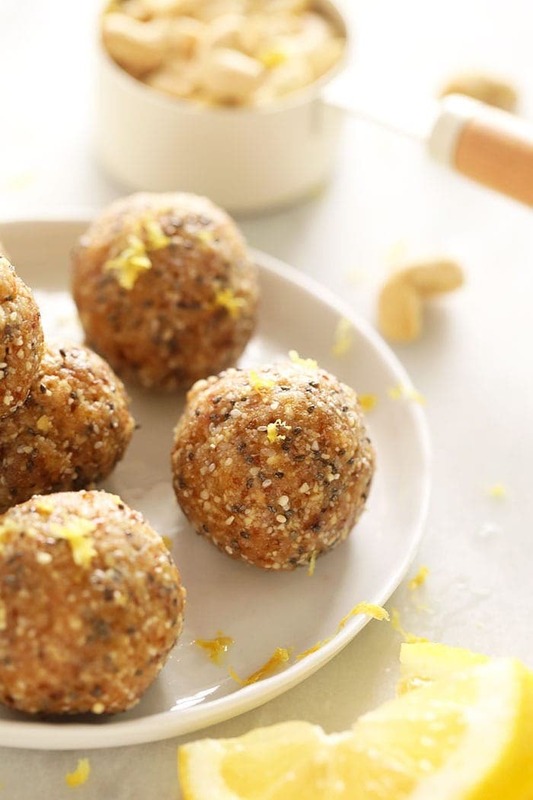 Say hello to these beautiful lemon cake energy balls! They are a delicious combination of summer flavors and a tasty protein bar. The first time we made these lemon cake energy balls we couldn’t believe how lemony and delicious they were! 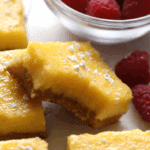 They seriously taste like lemon cake, but are good for you! We even thought about throwing some cream cheese frosting on them (Jk, jk), but they are darn good. Traditionally, our energy balls have a base of nuts, dried fruit, nut butter, and/or protein powder. 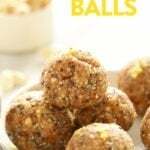 Our most popular energy ball recipes are peanut butter energy balls (my personal fav) and healthy peanut butter brownie balls. 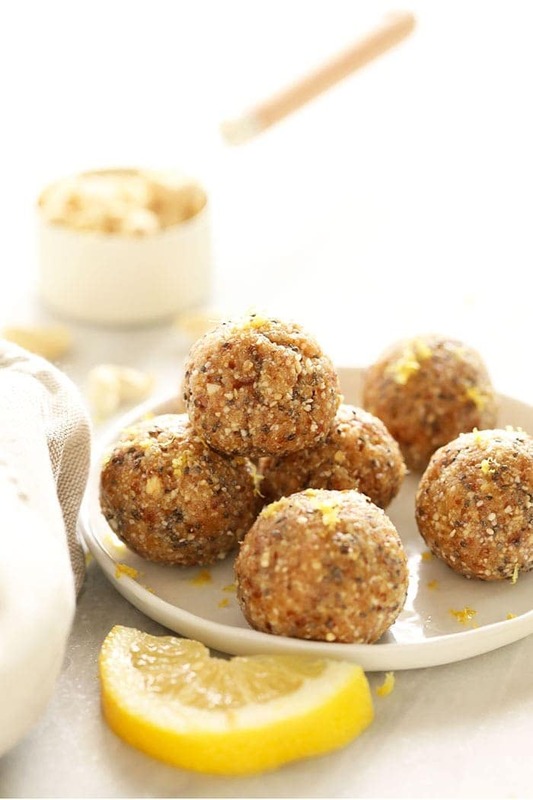 These lemon cake energy balls are a little different because we added a healthy dose of chia seeds to add a little extra protein and omega 3s. You just can’t go wrong! Got Questions About Energy Balls? First things, first. Let’s talk about the most common questions that people have about energy balls. How do you store energy balls? After making a big batch of balls always place the energy balls onto a baking sheet. From there, we place them in the freezer for at least an hour. Then, you transfer the energy balls to a freezer-safe gallon-sized plastic bag and store them in the freezer. Freezing them flat on a baking sheet first ensures that the energy balls will not stick together. How long can you keep energy balls? You can store energy balls in the freezer for up to 3 months! Are protein bites good for you? Yes, energy balls are a great healthy snack choice. However, like anything you eat, everything in moderation. 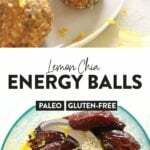 These energy balls are full of healthy fats and ingredients that will give you the energy you need to make it through a day. They are also a great post-workout snack! Do protein balls need to be refrigerated? It all depends on what is in the energy balls. We like to store our energy balls in the freezer. However, energy balls are usually ok outside of refrigeration. We recommend at least refrigerating these energy balls or storing them in the freezer like mentioned earlier. Let’s get down to business and talk about how to make these lemon cake energy balls. I would say the most important thing I could ever share with you (regarding energy balls) is to invest in a good food processor! 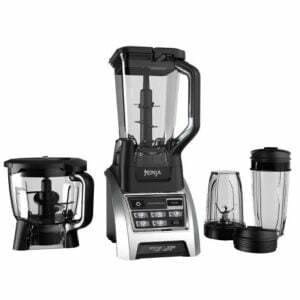 We have the Ninja Mega Kitchen System. Whatever food processor you have, make sure it is high powered. Now, lemon cake energy balls. If you are making a nut-based energy ball, make sure to always blend the nuts first. 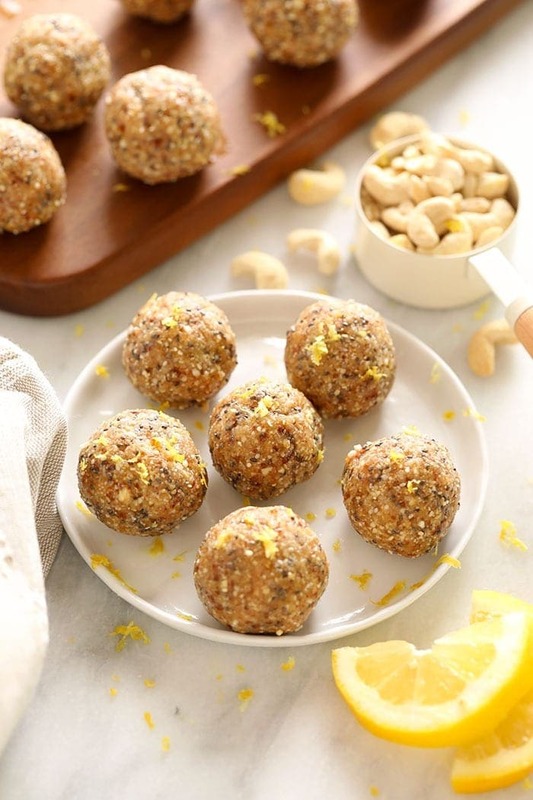 For these lemon cake energy balls, blend the cashews in the food processor until cashews are ground up into cashew meal. 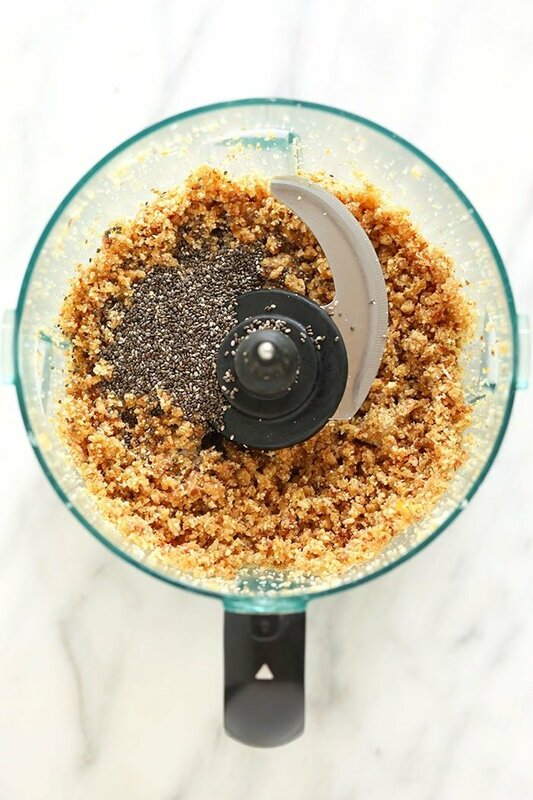 After making cashew meal, place the rest of the ingredients (except for chia seeds) into the food processor and blend until all ingredients are combined and form a crumbly dough. Test your dough by forming the dough into a ball. If it sticks, you’re golden. If the dough isn’t forming a ball, add a teaspoon or two of water to the mixture until batter forms the dough. After the dough is combined, add the chia seeds to the food processor and pulse until chia seeds are mixed into the dough. Finally, it’s time to roll the balls. Use a tablespoon scoop or a melon baller to measure out the balls. A heaping tablespoon works perfectly! Scoop a heaping tablespoon into your hands and place on a baking sheet. Repeat until dough is gone. Add lemon zest to the top of balls and place baking into the freezer for at least 30 minutes. Remove from freezer and transfer balls to a plastic bag and store in the freezer for up to three months. These Lemon Cake Energy Balls are a healthy snack choice that tastes like a little bit of heaven! Store these energy balls in the freezer for an easy grab and go snack that is packed with protein, chia seeds, and tons of flavor. They will give you the energy you need to get through any work day! 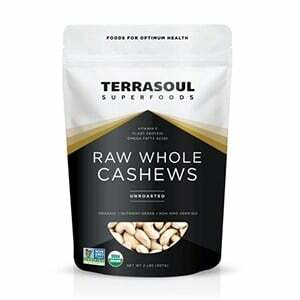 Place cashews in a high speed blender and process on high for about 1 minute or until your cashews have turned into cashew meal. Then, add in the rest of the ingredients (other than the chia seeds) and blend on high for 2-3 minutes or until you’ve formed a sticky dough. 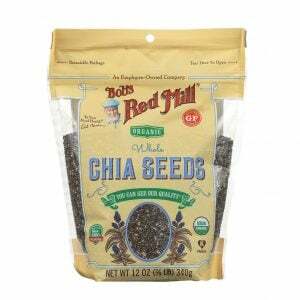 Add in chia seeds and pulse until combined. Once your dough is sticky, use a tablespoon cookie scoop to form truffles. If you find your dough isn’t sticky enough to form your truffles, add more lemon juice by the teaspoon. Store in fridge or freeze half for Week 4 if following the meal plan. 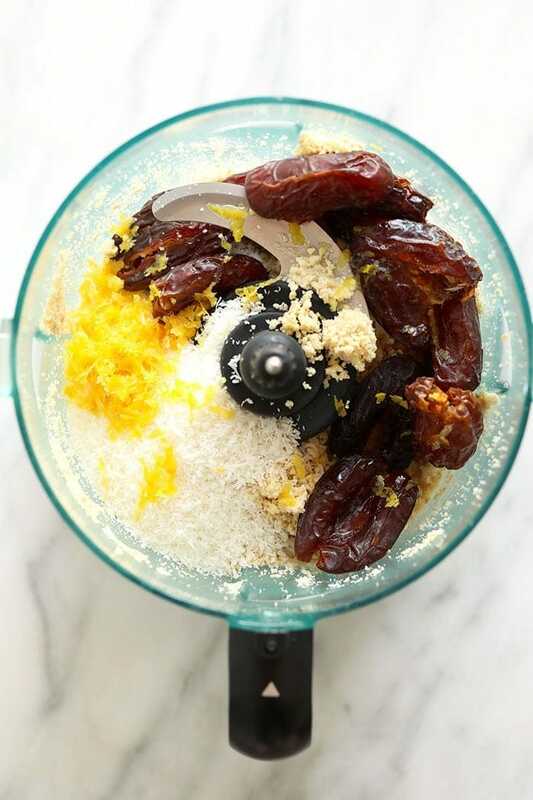 Make sure to use “sticky” medjool dates, which can be found in the produce section. If they are hard, we recommend soaking before using in this recipe. Also, don’t forget to pit dates before processing!